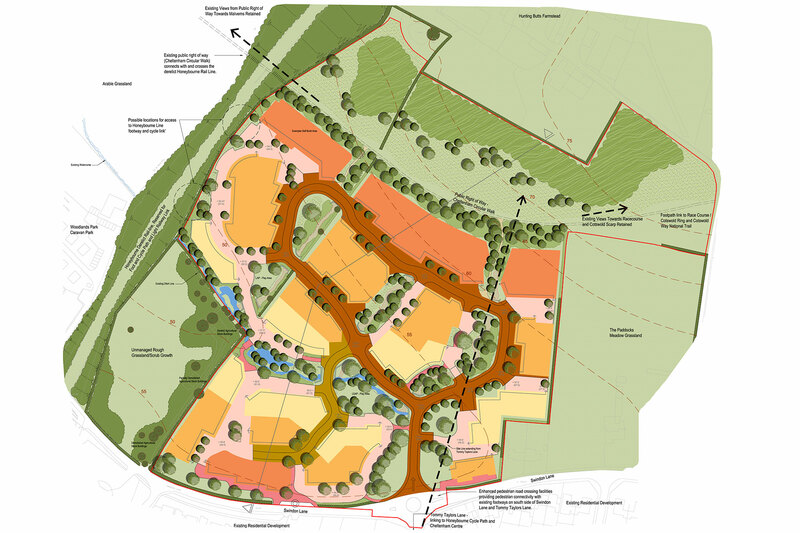 A landscape-led masterplan can be a successful strategy for securing planning consent and for achieving high quality sensitive development. MHP specialise in this approach and it is of particular relevance in areas of high sensitivity that may adjoin, or be within, a nationally designated landscape, or indeed when development is proposed in areas of valued landscape. Our assessment and design approach is to conserve valued elements and accommodate them meaningfully into a new development. Strong green infrastructure for character and habitat creation can provide a framework for new development that has a strong sense of place and provides an attractive place to live or work.